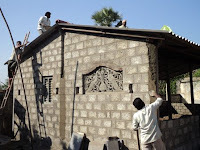 The most important structural components of a building construction are the columns-beams-slabs made of concrete and the walls which are made of bricks and plaster. 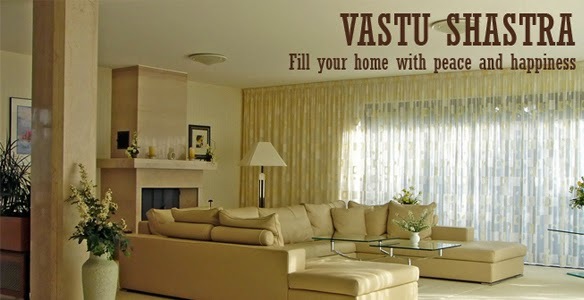 The main ingredients in concrete, mortar and plaster are cement, sand, stone chips, water, steel reinforcement etc. As an Architect, I have been dealing with these materials for the past 20 years. And in any site, I always look out for the quality of these materials as that can impact the overall construction considerably. 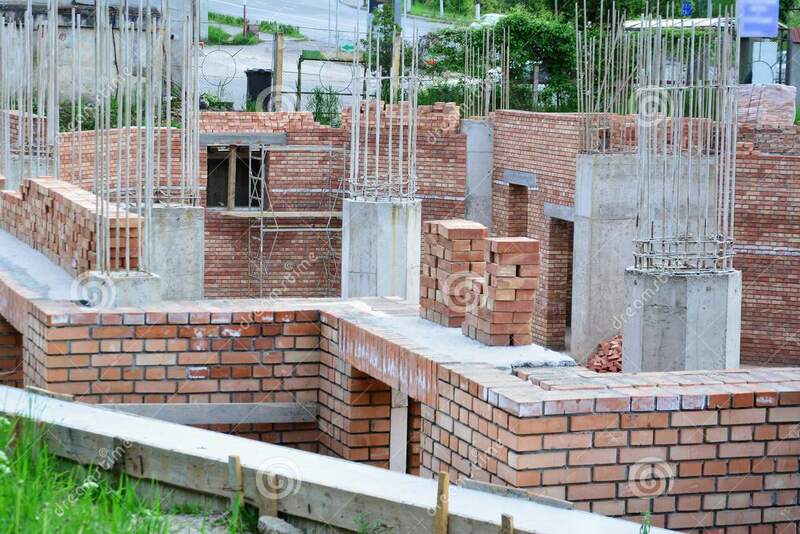 After the erection of the foundation, the next stage in the construction of the House can be either of the following two options. The superstructure (the walls) can be erected in case of a load bearing structure or the columns can be raised in the column-beam structure. Simultaneously, the staircase can be built. The stairs is useful as it can serve as the pathway to the upper floors for carrying building materials. 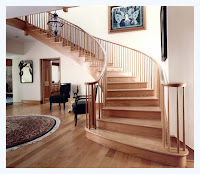 A staircase is a utility construction, designed to bridge a vertical distance, for example between two floors. You can read more about Staircases on my site on Architecture. After constructing the sump, the next step is digging/excavating for the foundation of the building. This is an important stage as the dimensions of the foundation have to be perfectly right because otherwise, the future spaces will be affected. 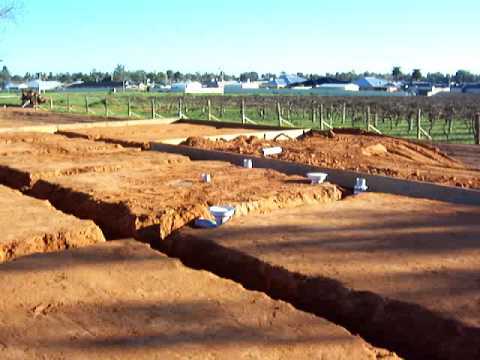 The foundation depth depends on the soil quality and the design of the foundation is decided by the site conditions. The excavation drawing and foundation details are prepared by the structural designer and approved by the Architect. After constructing the sump, the next step is to start the excavation for the foundation. 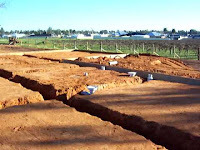 Before starting the foundation of your house, you must have decided the construction system that you want to adopt. As part of your House Construction, two water tanks are to be constructed: the Underground Water tank and the Overhead water tank. Of these two, the Underground tank also known as the Sump to which the municipal water pipe is connected, is the first to be constructed and should be built before digging for the foundation. This is because, being an underground tank, the excavation must be done before the rest of the foundation-excavation is started. So the next step after constructing the temporary shed and organising a watchman to stay in the shed (either by you or by your contractor) is to build the SUMP. Here are some simple guidelines in planning, locating and constructing the sump. Before the start of the Construction, after the digging of borewell, the next step is to build a temporary shed for storing construction material and to house a watchman to look after your site and material. 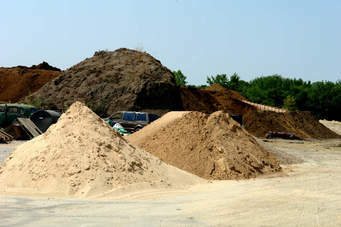 A shed is essential to store the cement bags and other building material safely, away from moisture as you can’t keep buying these things in small quantities. Having a watchman to take care of the material stored in the shed gives you a feeling of security and prevents thefts. Moreover, the watchman can help in taking care of other aspects of construction like curing (pouring water on RCC components) etc.